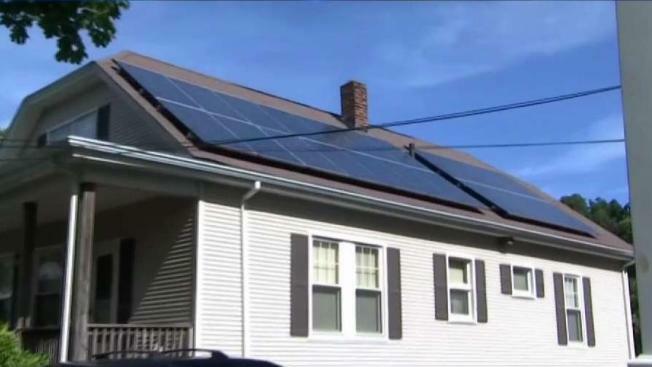 Massachusetts Attorney General Maura Healey is discussing a man's claim that a solar company took advantage of his mother, who suffers from dementia. 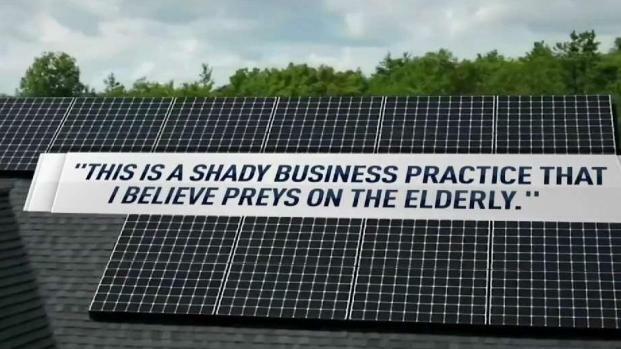 Massachusetts Attorney General Maura Healey expressed concern about the findings of NBC10 Boston investigation on the solar industry, specifically allegations of companies preying on elderly consumers. The report examined consumer complaints submitted to the AG's office in 2017. Out of 230 complaints, 40 percent of the people checked a box indicating they were over 60 years old. "When I hear those numbers, that's very concerning to me," Healey told the NBC10 Boston Investigators. The AG was especially bothered by complaints about lengthy solar contracts that are very likely to exceed the life expectancies of consumers. The investigation found multiple examples of people in their 80s who believed they had been deceived into signing a 20-year agreement. "These contracts can be very complicated, and some of that is legitimate and some of it is an attempt to maybe confuse people and get them to sign up for something that really doesn't suit them," Healey said. The NBC10 Boston Investigators started looking at the issue after hearing Paul LaFrance's story. The New Bedford man's mother passed away earlier this year. As executor of the estate, LaFrance discovered at the age of 82 — just two years before she died — his mother had signed a 20-year contract for solar panels after visits from a door-to-door salesman. At the time, LaFrance said she had already been diagnosed with early stages of dementia. "I feel she was preyed on," LaFrance expressed. The agreement obligated LaFrance's family to monthly payments for the panels, even after her death. They can also either buy out the contract for about $24,000 or sell the home and hope the new owner will agree to transfer the agreement. LaFrance has now submitted a complaint to the AG's office, hoping the contract will be voided. Click here to see how to file a consumer complaint. When asked if seniors need more protections, Healey said the issue deserves a closer look to make sure the solar agreements are not being marketed deceptively. "That's something we have to look at as a policy matter," she said. "I want to work with the industry here. It's a growing industry, but I want to make sure that consumers and, in particular, seniors, aren't getting ripped off."